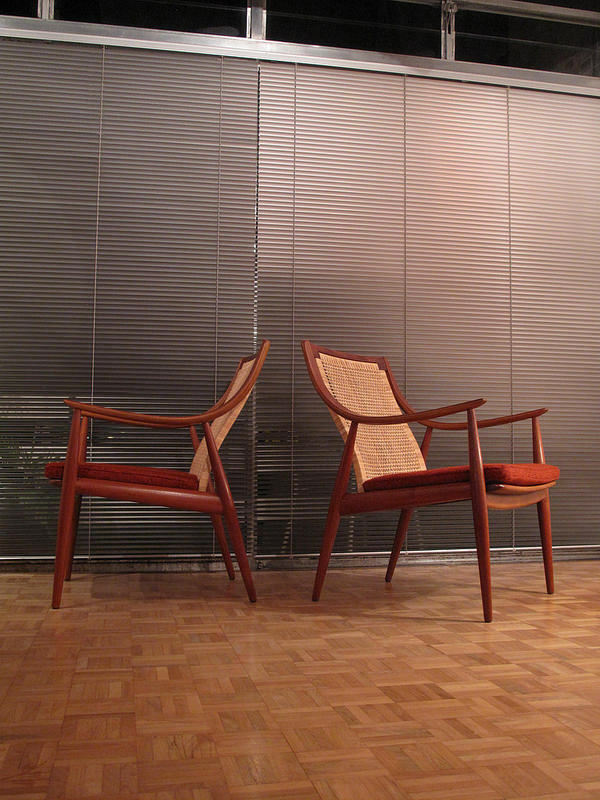 This is our favourite lounge chair design, it is shear visual perfection from every conceivable angle and they are also incredibly comfortable to use. 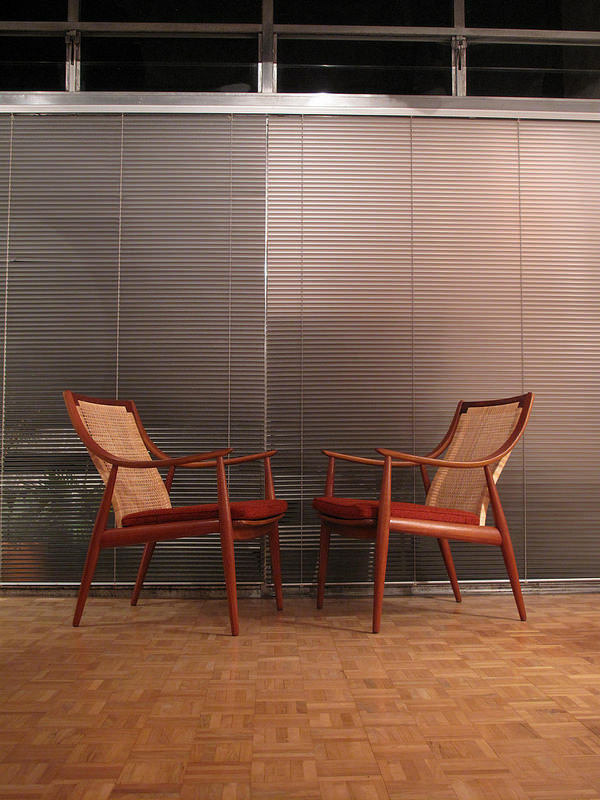 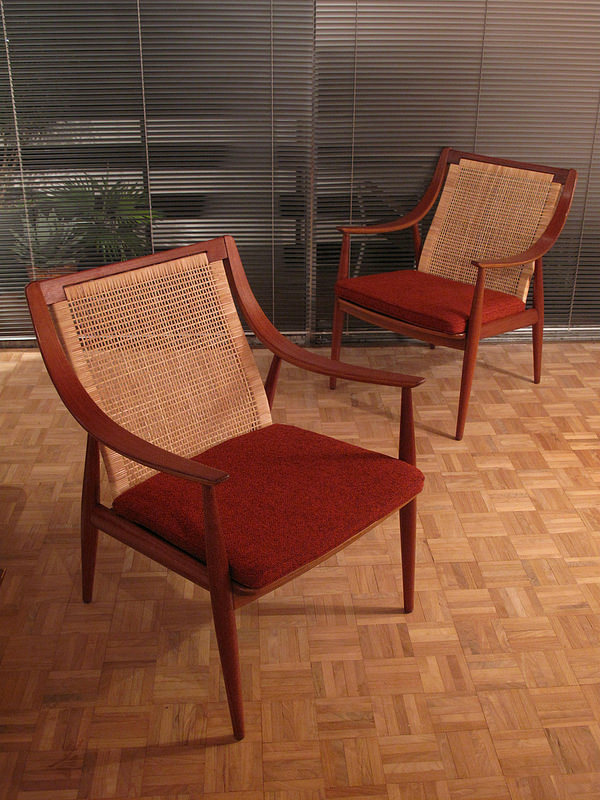 The rattan backed version of this design is very hard to find, a pair is a real coup. 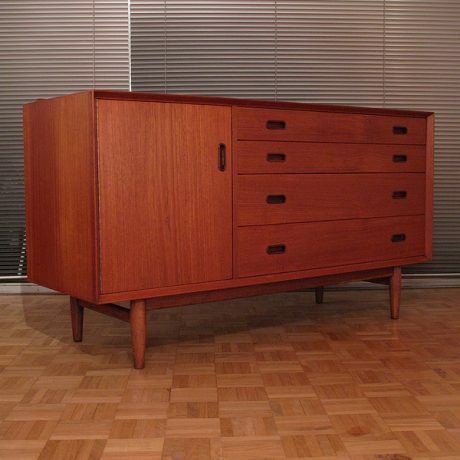 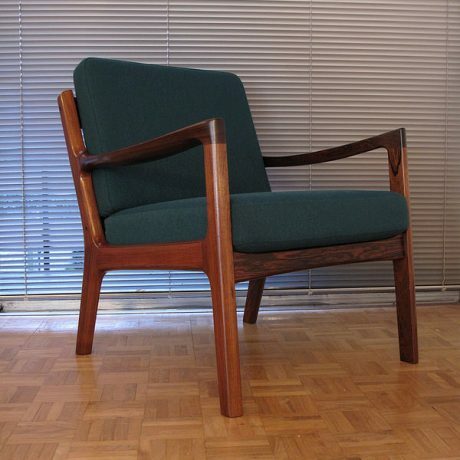 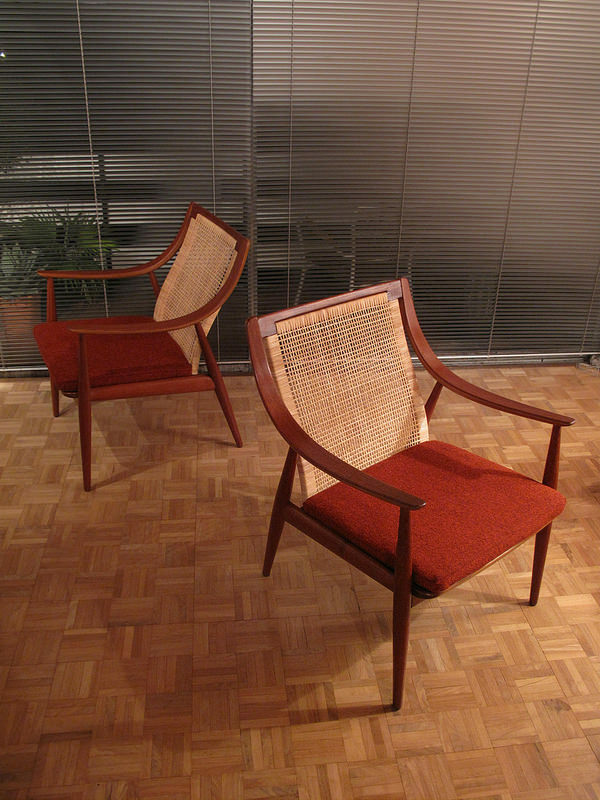 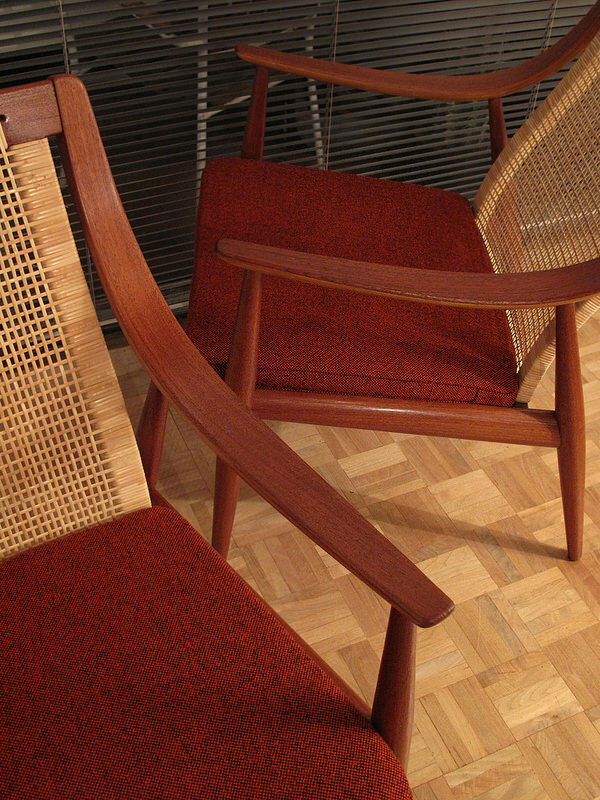 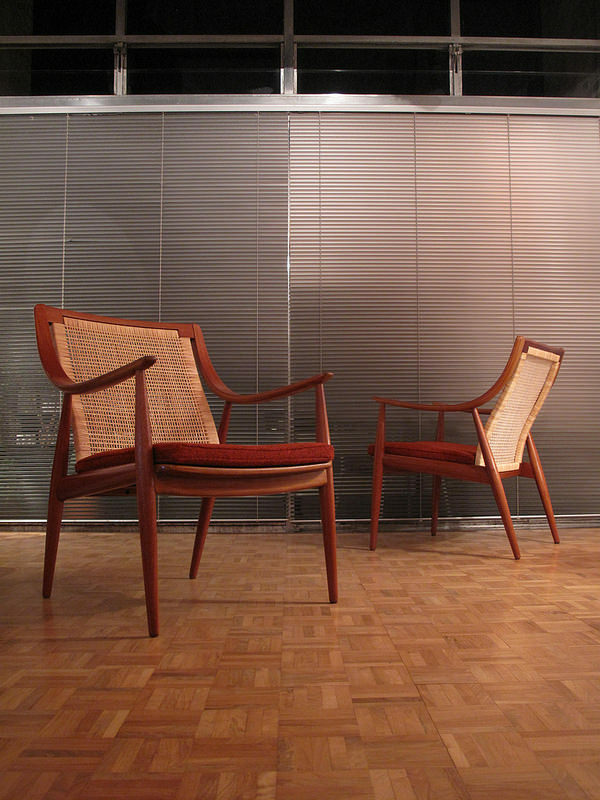 These are early productions produced shortly after the chair was originally designed in the mid 50’s by France & Daverkosen, Denmark. 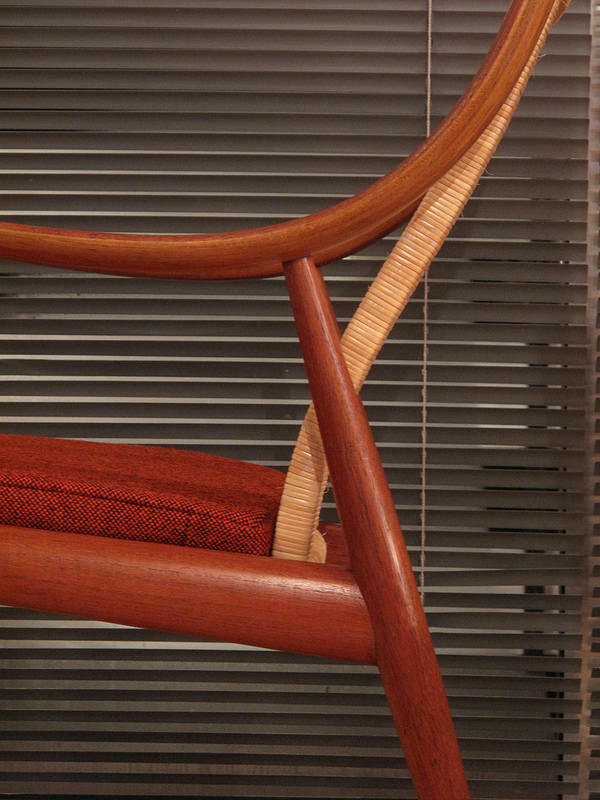 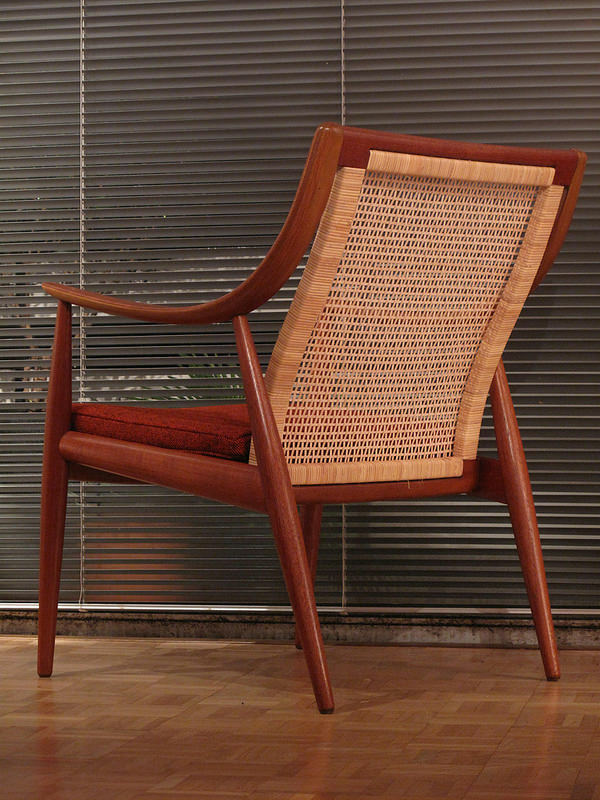 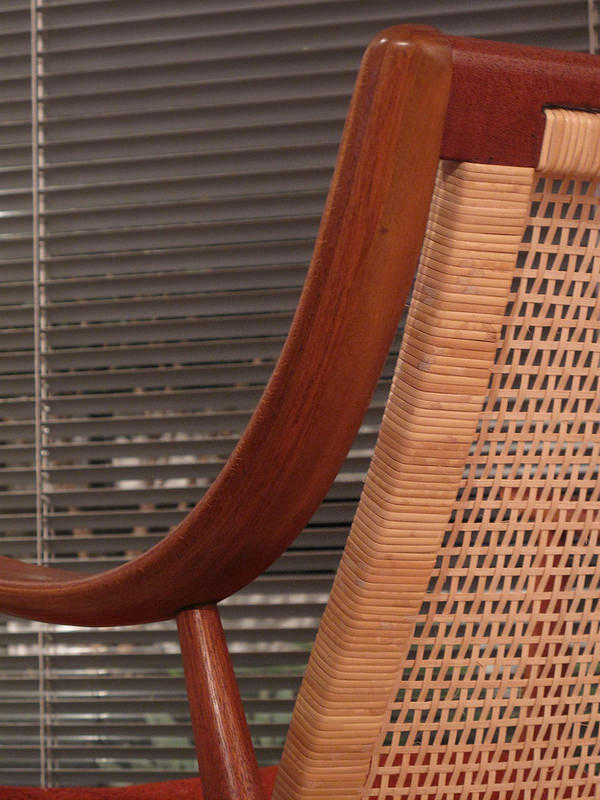 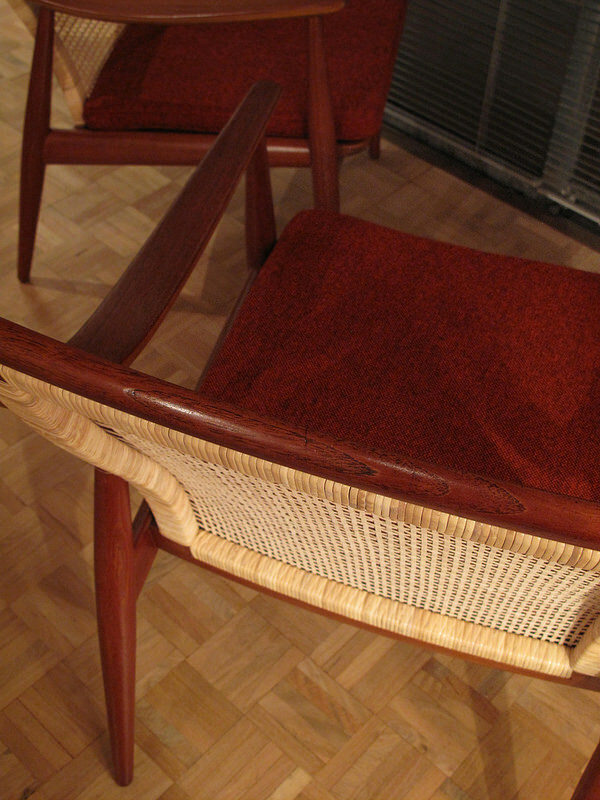 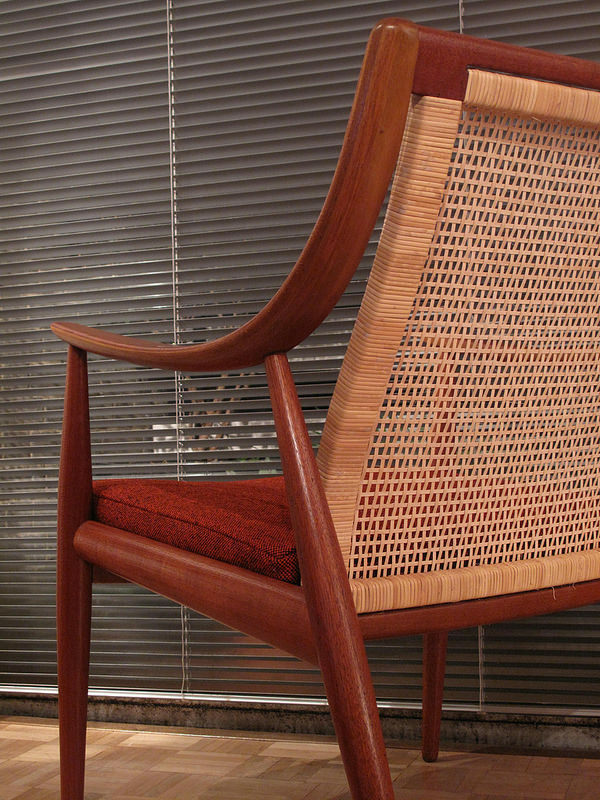 Each chair has had a brand new rattan backrest woven by our trusted weaver to the exact specification of the original design. 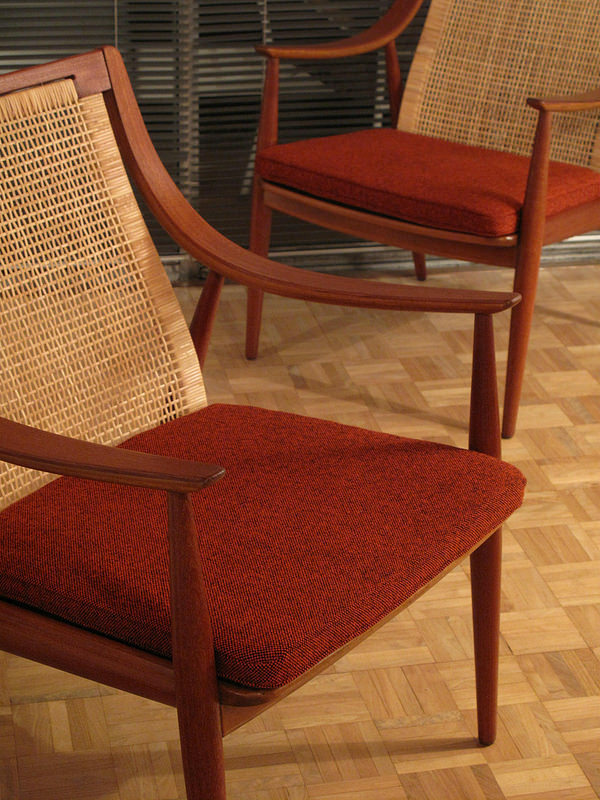 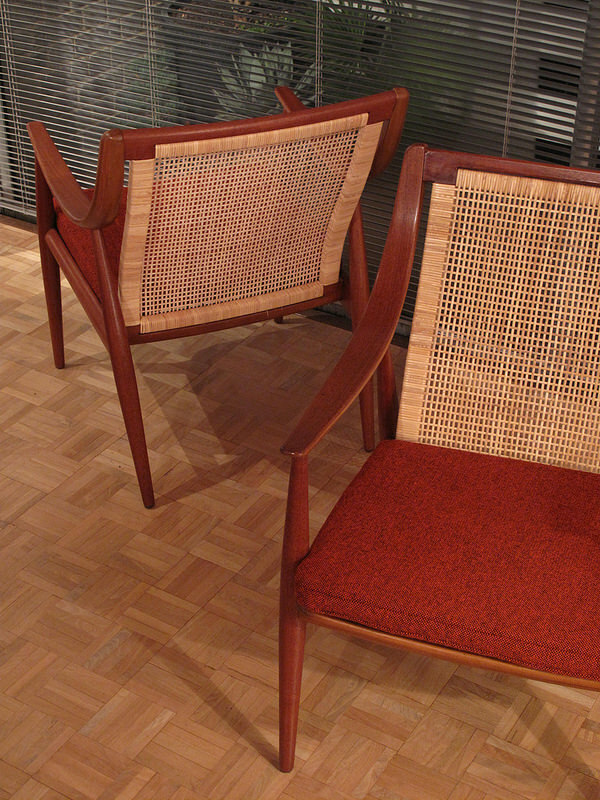 They each have a brand new cushion upholstered in Hallingdal 65 designed by Nana Ditzel for Kvadrat fabrics, Denmark. 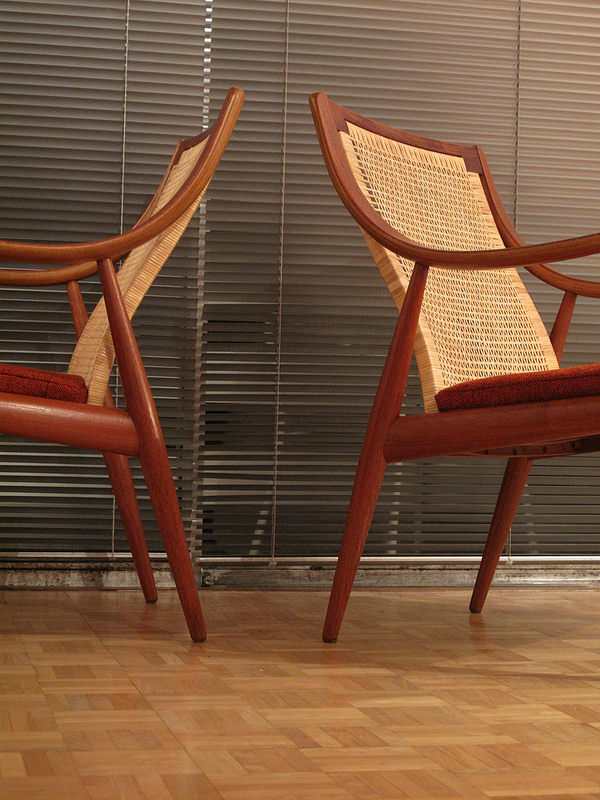 France & Daverkosen makers marks to the inside of each frame.